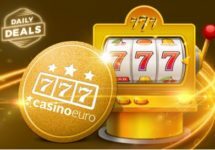 Casino Euro – The 10K Free Spins Mission! It’s time to show off your slot-playing skills this week at Casino Euro and become the champion of Free Spins. Join this exciting campaign and complete three missions for a chance to win a share of 10,000 Free Spins. Play Book of Dead, Gemix and Reactoonz to earn your tickets to the Big Raffle, plus enjoy a guaranteed reward for every completed mission. 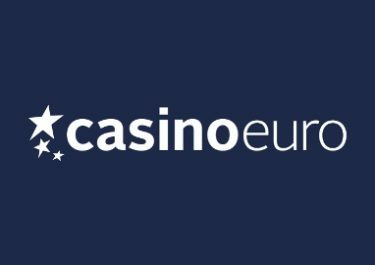 All players at Casino Euro, except our reader from the United Kingdom, get ready for an exciting week of challenges and rewards, courtesy of the 10K Free Spins Mission campaign. 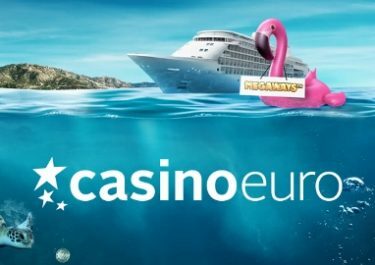 Play from Monday to Thursday on three thrilling slots from Play’n GO to earn your tickets to the Big Raffle and a guaranteed mission reward. Make sure to OPT-IN on the promotion page. On Friday, 20th April 2018, Casino Euro will randomly draw 451 winning tickets from all eligible entries and allocate the prizes in order they are drawn: 1x 300 | 10x 200 | 10x 100 | 10x 50 | 200x 20 | 220x 10 Free Spins on any of the three mission games, credited by 17:00 CET on the same day. 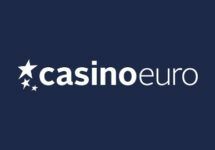 Wagering requirement is 15x FS winnings within five days, subject to the Casino Euro bonus terms and conditions.